DETROIT – May 1, 2013 – Hudson Editorial, a new sister company of 25-year-old Avalon Films, specializing in creative editorial, graphics, visual effects and audio finishing, announced it will open a 6,400-square foot post-production studio on the fifth and sixth floors of downtown Detroit’s historic Wright Kay Building, located at 1500 Woodward Avenue between John R and Witherell. Hudson Editorial has worked with advertising agencies Campbell-Ewald, Team Detroit, Leo Burnett and others. Hudson’s downtown facility is expected to be a valuable high-end post production resource to the growing number of companies doing business in the heart of Detroit’s urban core. The company is scheduled to open their Detroit office in early June with 16 full-time employees, doubling their current staff. Hudson’s sister company, Avalon Films, is a leading commercial and content production company that provides services to numerous Fortune 500 companies. Based in Royal Oak, Avalon Films will also open an additional office in the Wright Kay Building. While the two companies plan to operate as separate entities, they will collaborate by packaging production at Avalon with post-production at Hudson to deliver exceptional services for their clients. “We look forward to taking Hudson and Avalon Films creativity to a new level, feeding off of the energy that our companies will undoubtedly tap into being located in an exciting urban environment,” said Avalon Partner and Director Larry August. Rock Ventures, an umbrella entity managing a diverse portfolio of companies, investments and real estate, purchased the Wright Kay Building in December 2011. The lease was brokered by Bedrock Real Estate Services, Rock Ventures’ full service real estate firm, after major renovations to the 24,000 square foot structure. “Hudson Editorial is the latest new economy, creative business to join the action along the high-tech Woodward corridor in downtown Detroit. Each day seems to attract a great business to the opportunity that is Detroit,” said Jim Ketai, managing partner, Bedrock Real Estate Services. Neumann/Smith Architecture last month announced its new Detroit design studio will occupy the entire third floor of the Wright Kay Building. Hudson Editorial is a creative editorial, graphics, visual effects and audio finishing company. The idea behind Hudson is to take a small group of uniquely talented individuals, bring them together in a dynamic urban setting, and create an environment of total collaboration to deliver the highest level of creative execution and client service. Avalon Films is a boutique, full-service production company based in Royal Oak, Michigan, with affiliate offices in Los Angeles, New York City, and Toronto. Avalon’s creative philosophy is that great work starts with a great idea. Thanks to great clients, and the talent and dedication of their close-knit staff, Avalon has built a reputation as one of the very few regional companies that consistently deliver national caliber work. 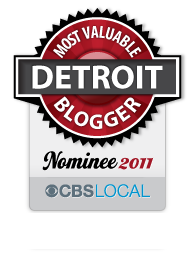 This entry was posted in Detroit and tagged creative, detroit, downtown, editing, editorial, film, hudson, Michigan, new, office, rock ventures, Royal Oak, woodward. Bookmark the permalink.